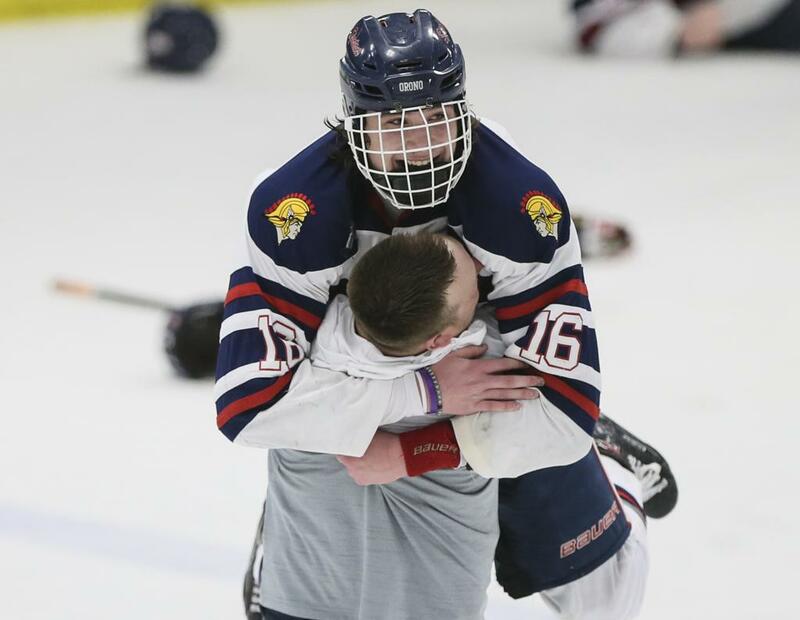 Success at Orono's youth levels — state Bantam A championships in 2015 and ’16 and a runner-up finish last year — has filtered up to the high school program. Litchfield/Dassel-Cokato (16-11-1) vs. Orono (No. 3, 20-7-1), 1 p.m. Scouting the Dragons: Junior Brandt Pedersen is the team’s runaway scoring leader with 44 points (27 goals, 17 assists). The 6-2, 200 Pedersen also excels in football as a receiver and free safety, in track as a sprinter and hurdler, and in baseball as an outfielder. The Dragons’ second- and third-leading scorers are defensemen. Senior Orrin Grangroth (14 goals, 26 points) and converted forward Paul Raisanen (11 goals, 13 points), a junior, are always eager to join the rush. Freshman goalie Darby Halonen has been impervious to playoff pressure (1.67 goals-against average, .930 save percentage in section games). Scouting the Spartans: Success at the youth levels — state Bantam A championships in 2015 and ’16 and a runner-up finish last year — has filtered up to the high school program. Senior forwards Jack Suchy and Thomas Walker, who each top 6-1 and weigh more than 200 pounds, anchor the top line as the team’s scoring leaders. First-year head coach Will Scholz previously served as an Orono assistant under former NHLer Mark Parrish. The pair swapped roles just before the start of the season when Parrish landed a job doing on-camera broadcast work for New York Islanders games. Worth knowing: Orono has defeated Litchfield/Dassel-Cokato 36 consecutive times, dating to Dec. 8, 2001.